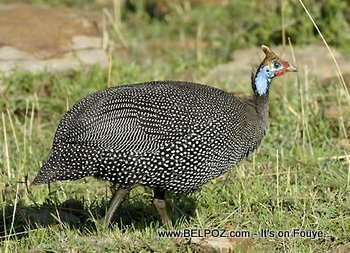 Haitians call it Pintade but this bird is called The Helmeted Guinea Fowl or Guinea Hen. Pintade is a delicacy in Haiti and it is favored over chicken. How do you say PINTADE in English?